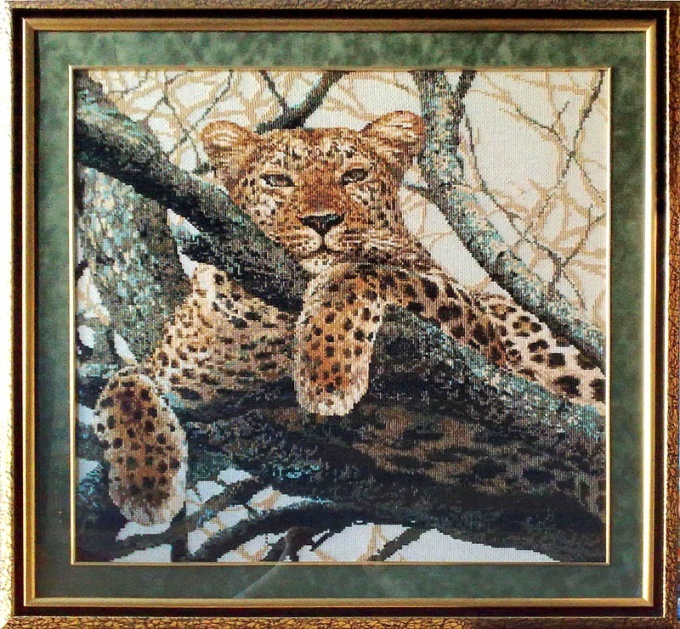 How easy it is to embroider cross-stitch big picture? To assess an embroidered cross pattern may be the only one who did something like that, because the embroidering time – consuming process that requires attention and patience. But, despite the difficulties of the work, the finished painting, framed in a beautiful frame, will give its Creator a lot of positive emotions. Choose a motif that you want to embroider. Realistically assess your skills of craft and patience, experienced masters large embroidered paintings for six months. If you have purchased a ready embroidery kit, follow the instructions. If you have selected scheme on the Internet or in a book, pick up the thread of appropriate colors. Some schemes specify the number of threads of a particular manufacturer, for example, or DMC Bucilla. Use the tables in the translation thread floss available on the Internet, with their help you will choose the appropriate thread colors from another manufacturer. Cut yarn, attach them to the cardboard holder, sign each color or draw a symbol of hue that are used in the scheme. Prepare the canvas. Ready sets it is usually starched and therefore, does not require the use of hoops. Make canvas the markup color thread. Fold the fabric in half, enter the needle at the edge of the crease, lay a line of basting seam strictly according to the holes throughout. Lay perpendicular to the seam in the middle of the other side. At the intersection of the auxiliary threads will work. If you bought a piece of canvas, necromante it, or use hoops for embroidery. Consider the scheme. Usually arrows on the edges indicate the midpoint of the side. With the help of two rulers, laid the cross, marked by arrows, locate the center of the embroidery. Start there. If you do not want to start embroidering with the center, back away from the edge a sufficient number of stitches and embroider on the corner. Ensure the whole picture fits on the canvas and not out beyond it. Start embroidering with areas, consisting of crosses of the same color. For convenience in the diagram with a pencil cross-hatch embroidered crosses. Check yourself after each ending thread, the auxiliary lines will help you. Uplift them after work. Wash embroidered pattern in warm soapy water, vyprosit. Do not wring. Dry on a towel. Iron from the wrong side, putting a picture of flannel fabric. Take the finished painting to the framing workshop, pick a suitable frame, and place the order. Or paste a picture in a frame on their own. Standard sizes you can buy in the store. Masters should understand that cross stitch that you want to estimate in money is a commodity and approach to the assessment of the product rather dry and prosaic, exceptions to exclusive copyrights of the canvas, which is of independent value as a work of art. Valuation of paintings, embroidered cross.